Striking out alone today I caught a train from Florence to Ventimiglia, Italy. From there I jumped on a regional train which took me on into Nice, France through Monaco . I skipped the famous casino in order to preserve funds for the balance of this trip! 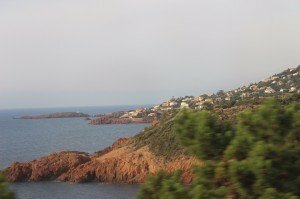 The trip itself was fairly uneventful other then the spectacular views as the train winded along the Italian Riviera and on into France. Seated across from me was a beautiful young girl who looked Asian and was jabbering away to her Italian mother in fluent Italian. It turns out her mother is an Italian teaching English to youngsters and since we had a 3 hour train ride we chatted a bit. Mom, who’s name I never got, married an Irishman from Dublin named McHugh. They lived in Milan and ended up going to China to adopt this girl when she was nine months old….now she in nine years old. The parents got divorced and Dad moved to Barcelona. Still with me? They were on the train to rendevous with Dad who was driving up to take his daughter for a Summer visit. I told her that her name sounded like an international movie star and she seemed pleased by that. Only on a train in Europe, lol. 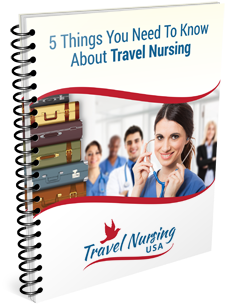 I don’t know of any travel nursing jobs in Nice, France but if you would like to find out about travel nursing jobs so you can take vacations to places like this go here.